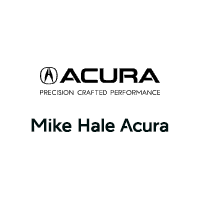 The 2018 Acura RDX model’s 3.5L I-VTEC engine can be paired with AWD or FWD. The former has all-wheel drive with Intelligent Control System, to make your Provo or Sandy adventures a breeze. Read below for more performance-based technology and specs. Maximizes the use of traction in dry and slippery conditions. At the same time, it minimizes friction and power loss, which helps Murray families save money at the pump. Sequential SportShift Paddle Shifters paired with the RDX model’s six-speed transmission give you the option of automatic shifting or more manual shifting control. The 3.5L I-VTEC V6 engine delivers 279-hp and 252 lb-ft of torque through smart variable valve timing. Sport Mode makes your Salt Lake City commute fun: With quicker downshifts, higher revs before upshifting, or the ability to go into full manual mode with the paddle shifters, you’ll enjoy the Sport Mode’s different feel. Performance and technology go hand in hand. So read up on all the advanced technology features the 2018 Acura RDX has on deck next. Research how the RDX’s performance and technology specs stack against the BMW X3 or Lexus RX. Then, explore our RDX inventory to buy a new RDX today.